California Resources Corporation (CRC) has purchased the remaining working interest (WI) in the Elk Hills field located in Kern County, California. CRC purchased the shares from Chevron USA for $511.19m. CRC has issued 2.85 million shares and paid $460m in cash for the acquisition. Located in the San Joaquin Basin, the Elk Hills field covers an area of 47,000 acres. Based in the US, CRC is an oil and gas exploration and production company, while Chevron USA is an oil and gas company. The transaction will strengthen CRC’s asset portfolio in California. 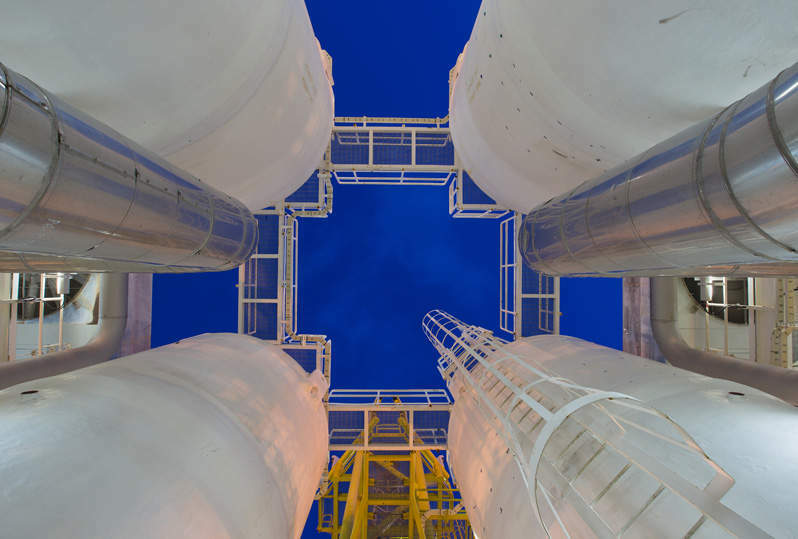 Brazos Midstream Holdings has entered a definitive agreement to divest its subsidiary companies in the Delaware Basin to North Haven Infrastructure Partners II (NHIP II) for $1.75bn. The divestment includes $950m of debt financing, a term loan of $900m and revolving credit facility of $50m. Brazos Midstream Holdings is a midstream company backed by Old Ironsides Energy, while North Haven Infrastructure Partners II is an investment fund managed by Morgan Stanley Infrastructure Partners. Brazos Midstream is expected to retain its name and operate as a portfolio company of NHIP II after the transaction. All of the companies involved in the deal are based in the US. The transaction is expected to strengthen Morgan Stanley Infrastructure Partners’ investment portfolio. Predator Oil plans to divest its oil and gas assets located in Saskatchewan and Alberta, Canada. The deal will be effective from May 2018 and the asset divestment will be handled by Sayer Energy Advisors. Fairway Resources Partners III plans to divest its oil and gas assets located in the Anadarko Basin, Oklahoma, US. The assets include working and royalty interests in 186 wells. Of the total wells, 67 are operating, 89 are non-operating, eight are overriding royalty and 22 are royalty interest wells. The wells are located in the Alfalfa, Beaver, Ellis, Harper, Woods and Woodward counties of Oklahoma. Cerus Energy Group has agreed to raise C$2m ($1.56m) by issuing ten million units priced at C$0.2 ($0.16) a unit in a non-brokered private placement. Each unit will include one common share and one share purchase warrant, which will permit the holder to buy a bonus share priced at C$0.35 ($0.27) within 12 months from the date of issue. Based in Canada, Cerus Energy Group is an oil and gas company. Cerus will use the proceeds of the placement to develop the Northern Chronicultures’ marijuana cultivation facility in Prince George, British Columbia. New Zealand Oil & Gas (NZOG) and OG Oil & Gas (OGOG) have entered a farm-in agreement to jointly purchase a 50% interest in the PEP 55768 permit from AWE Holdings NZ and Mitsui E&P Australia. AWE Holdings NZ is a subsidiary of AWE, while Mitsui E&P Australia is a subsidiary of Mitsui & Co. The permit is located onshore northern Taranaki Basin in New Zealand. The present partners in the permit are AWE (51%, operator) and Mitsui (49%). The partners in the permit following the transaction will be Mitsui (37.5%), AWE (12.5%, operator), NZOG (25%), and OGOG (25%). NZOG and OGOG are both oil and gas companies based in New Zealand, while AWE and Mitsui E&P Australia are both oil and gas exploration and production companies based in Australia. The acquisition will strengthen NZOG’s and OGOG’s oil and gas asset portfolio in New Zealand. Lansdowne Oil & Gas has agreed to raise £0.9m ($1.26m) by issuing 69.2 million shares priced at £0.013 ($0.018) a share in a private placement. The funds raised will be used by the company to invest in the Barryroe Licence by closing the farm-out and for working capital requirements. Brookside Energy has agreed to raise A$3.16m ($2.43m) through the private placement of 197.5 million shares priced at A$0.016 ($0.012) a share. The shares will be priced at A$0.02 ($0.022) a share. Based in Australia, Brookside Energy is an oil and gas company. The funds raised will be used to expand and advance the company’s leasing activities in the South Central Oklahoma Oil Province (SCOOP) play in the Anadarko Basin, Oklahoma.